Be careful what you wish for … now the weather has truly turned, the suffocating heat is a distant memory and it’s been business as usual: grey and rainy. The silver lining though in all this is that there is no reason why we can’t embrace the new season’s collections. 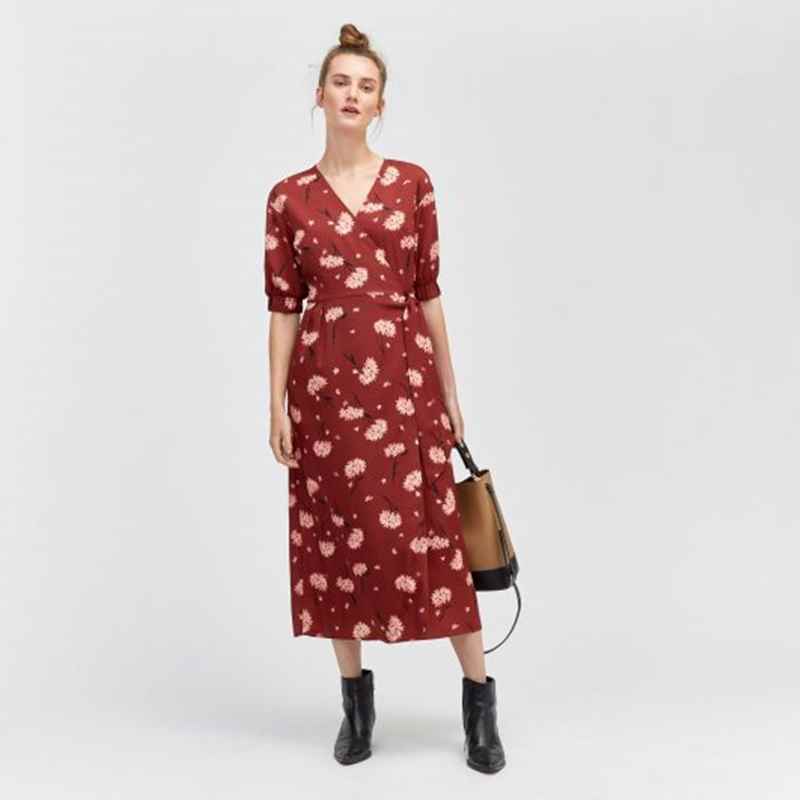 The midi train rolls on and this week it’s the turn of the midi dress as the in-betweeny piece that will take you through the tricky seasonal transition. Hush’s new autumn collection has just landed and this is the best time to buy before the best styles sell out. Plus there is 10% off with the preview code A18PREVIEW so now’s the time! 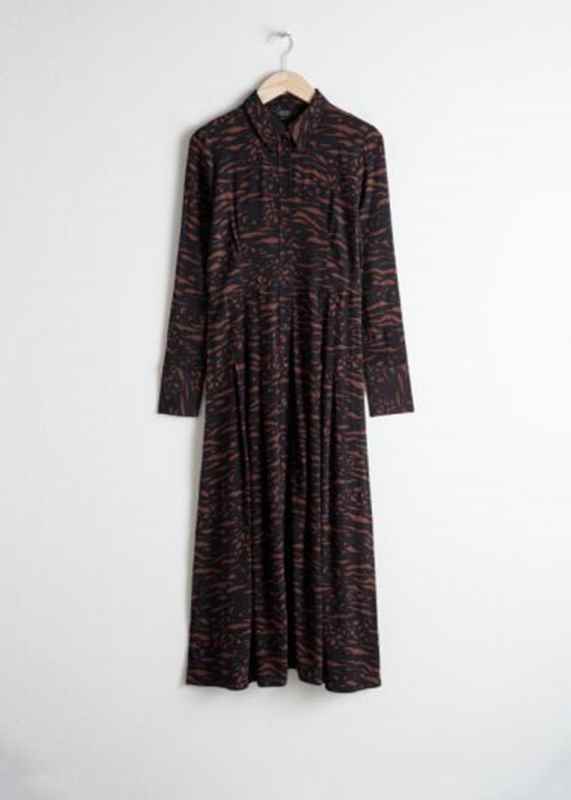 Their Kensington Shirt Dress £69 was a best seller last season and it is back in a fun, new, bird print. 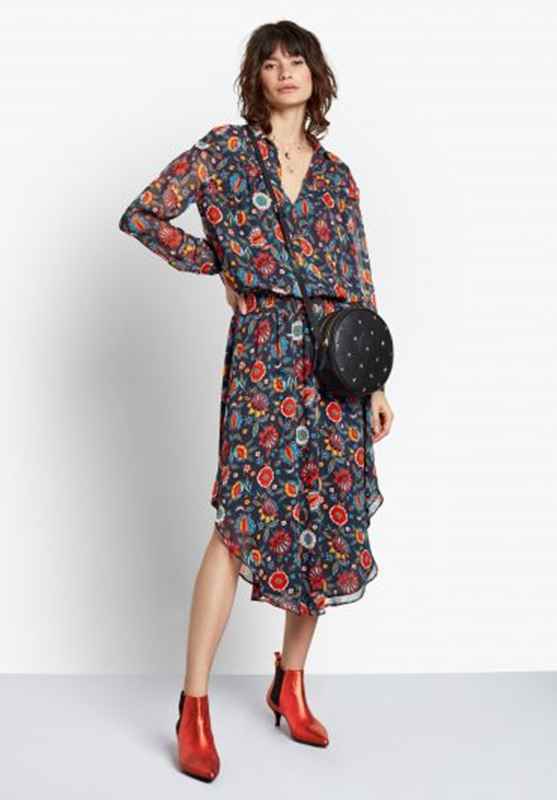 Or in this print: Stretch Kensington Shirt Dress £69. 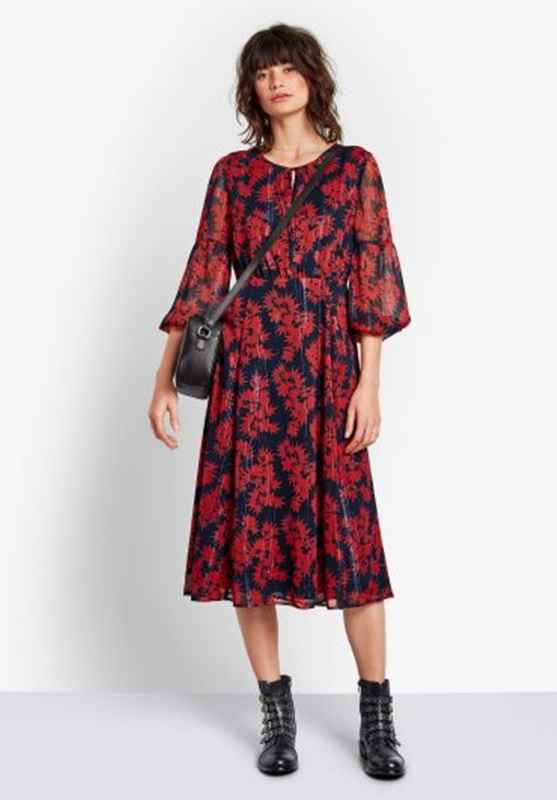 I love this Melody Floral Dress £89 which you can wear with red boots as here or for something more subtle go for tan or black. 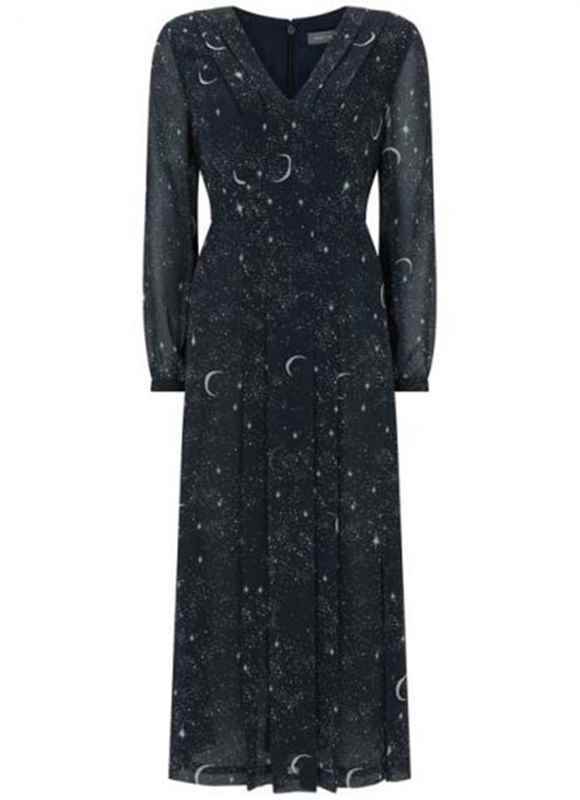 And this Serena Handkerchief Dress £99. 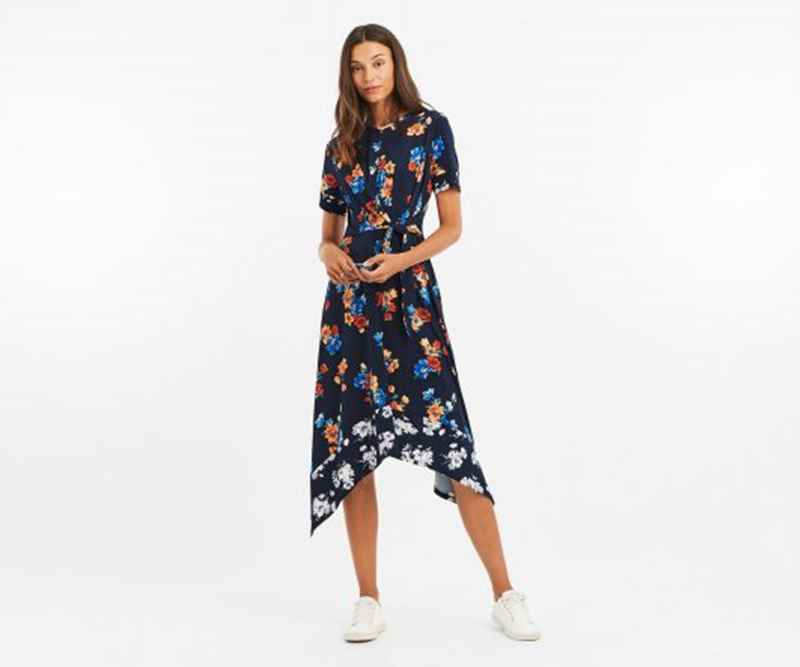 Print Hanky Hem Dress £46 This little beauty from Oasis is a double winner from a print mixing and asymmetric hem point of view. Twist Front Midi Dress £65. 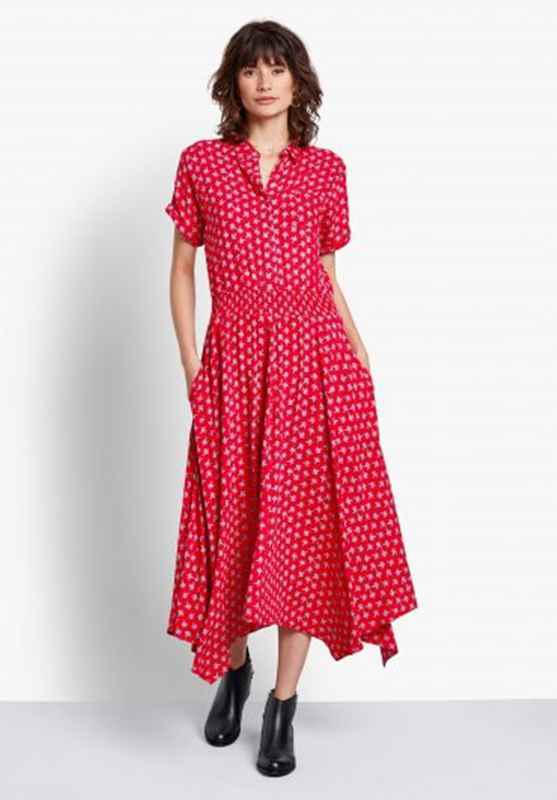 This is a good dress for a late summer ‘do’, holidays and later with tights and boots. Floral Slit Midi Dress £52. 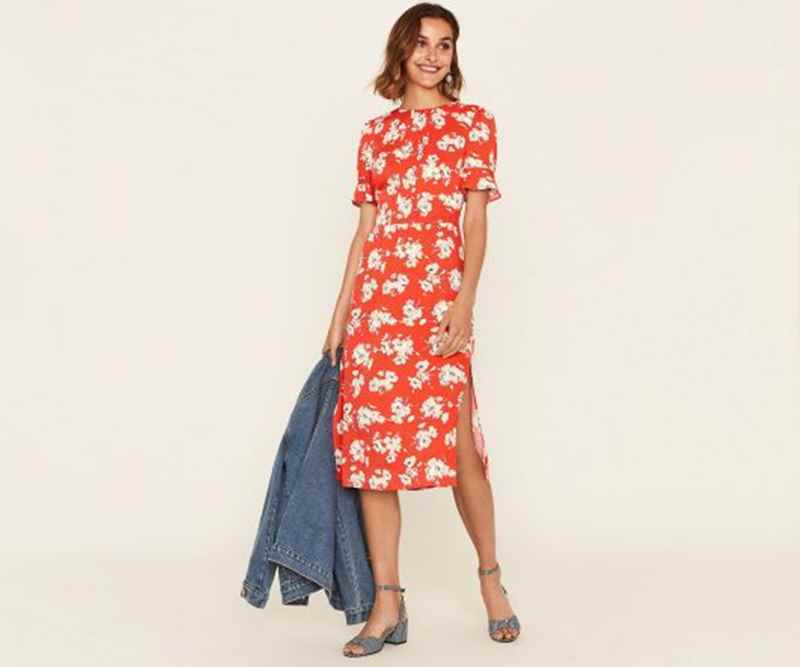 Now this one I love and could just as easily wear on holiday as I could pair with a leather jacket and either trainers or ankle boots. And you could even add a little fitted sweater over the top for a different look. If the slit is too much for you then stitch it up a bit. 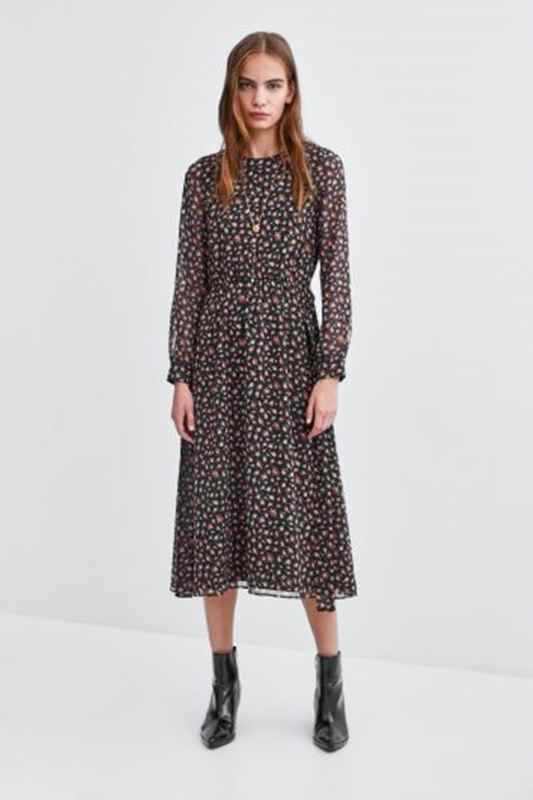 Bea Ditsty Sprig Dress £49 from Warehouse. 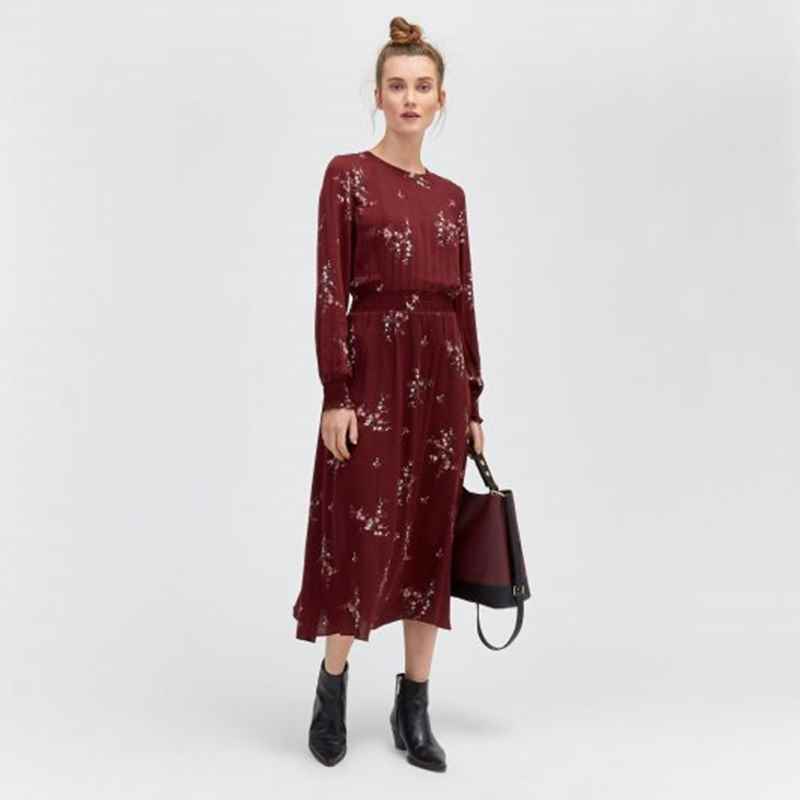 This dress is in one of the colours of the autumn as these gorgeous rich burgundys, tobaccos, rust and earthy tones carry on from the summer. Stock levels are low on several sizes at Warehouse but House of Fraser has more availability. Honey Wrap Floral Dress £52 . An alternative print in a similar style from Warehouse. Feather Print Midi Shirt Dress £49 If you don’t like the new season’s tones, then try this navy print shirt dress from Warehouse instead. 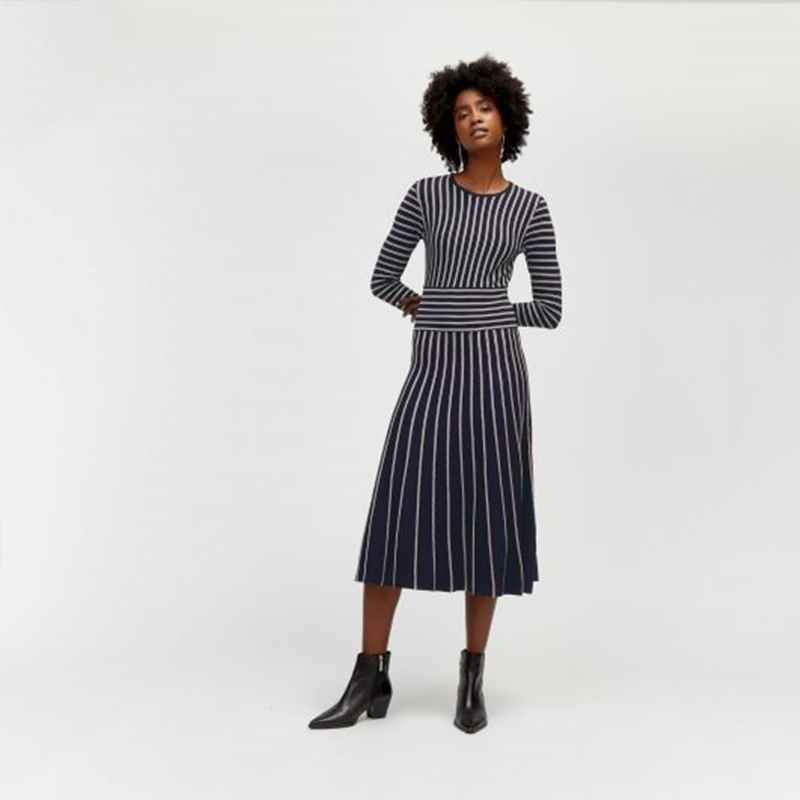 Pleat Stripe Dress £69 I grant you this is not something you would wear in the heat but it is gorgeous and so much so you will need to hurry to pick it up before it is out of stock. Modern workwear for the autumn. Enough said. 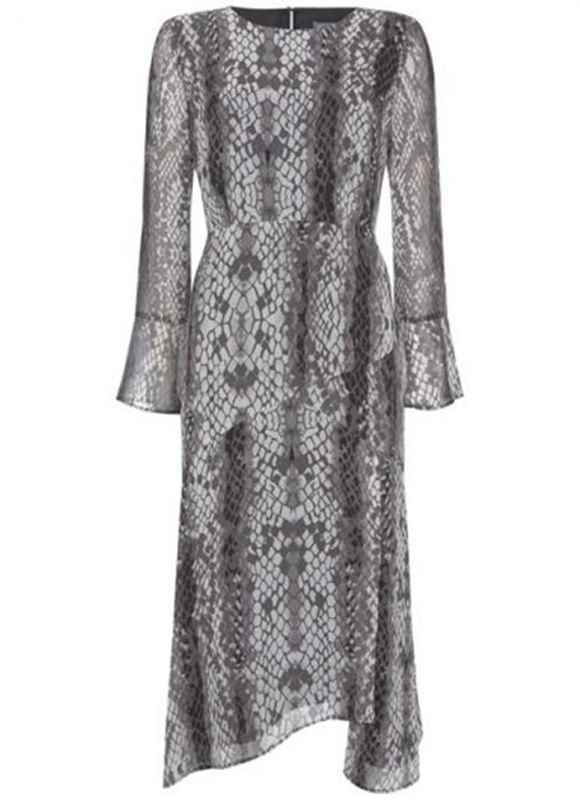 Lexi Foil Print Midi Dress £70. 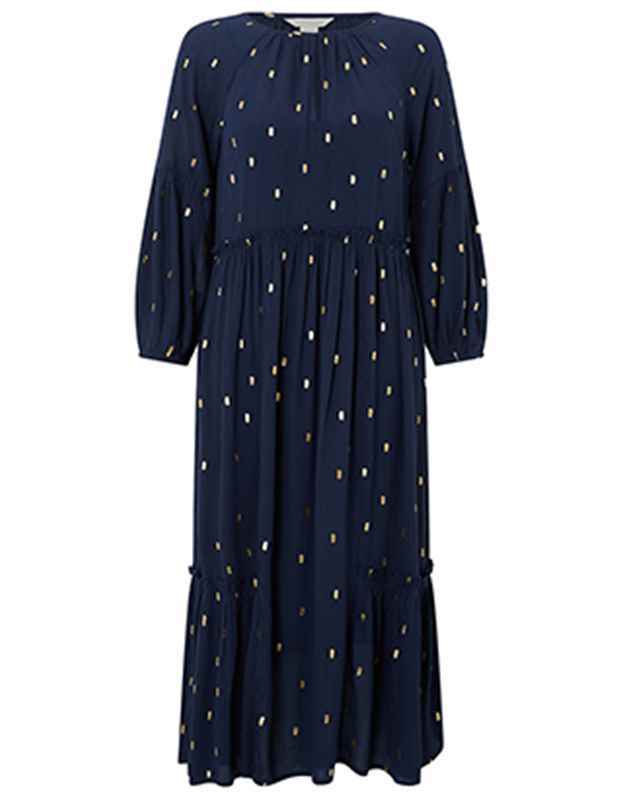 This Monsoon dress reminds me of my Hush foil print maxi from last season which I love although, arguably this style is a bit more versatile and perfect for the weekend and evenings when dressed up. 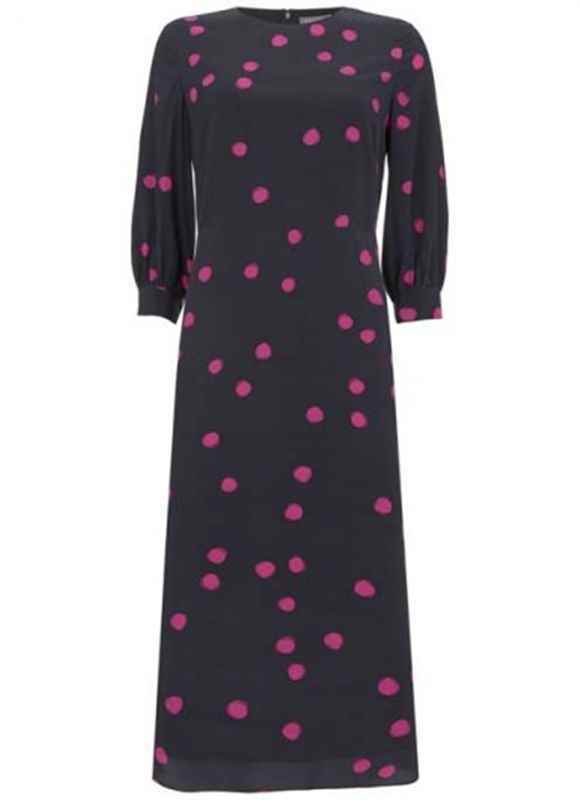 If you did miss out on Hush’s Yasmin dress £99 then it is back in two new prints – although is strictly speaking a maxi. 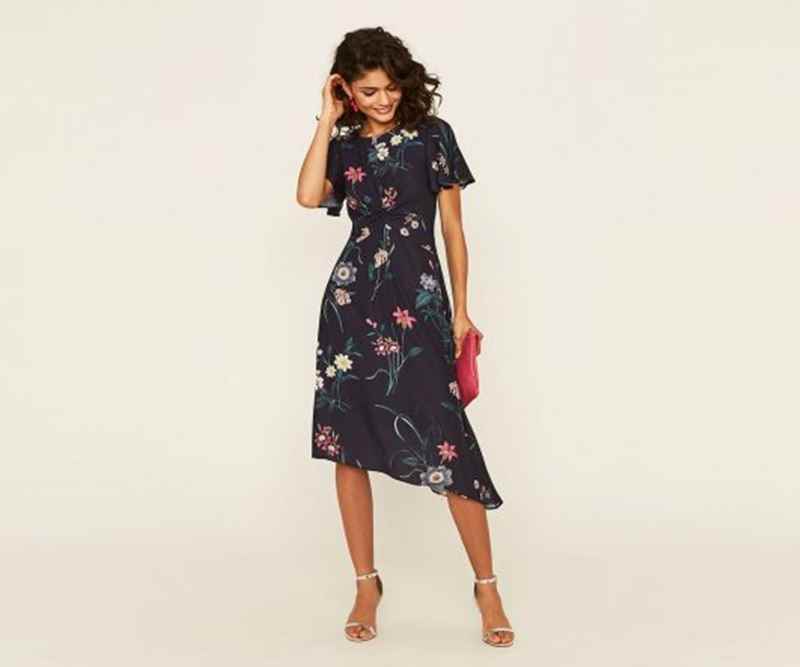 Floral Dress £39.99 Zara does it again with great prices for its spot on styles and this one has a lovely gold lurex stripe running through the print which gives it a gentle shimmer. This is also a nice way of getting a bit of rust in without going all over. 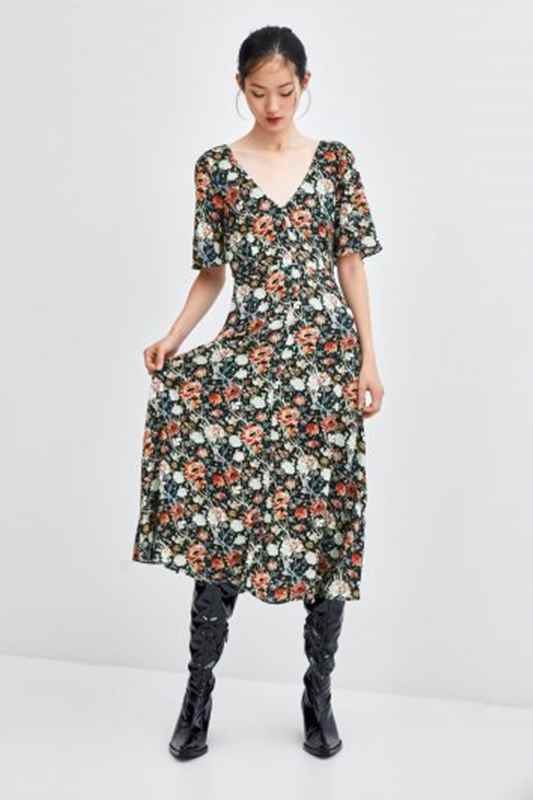 Mini Floral Print Dress £29.99 Another lovely little dress from Zara in a super easy print. 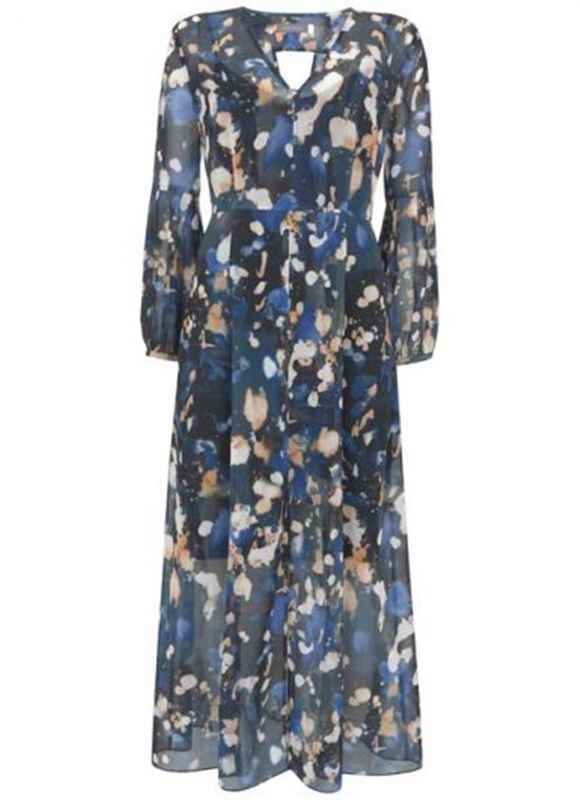 Shae Print Maxi Dress £149 Well Mint Velvet has certainly upped its fashion game this season and after discovering lots of gorgeous skirts, their dresses are no disappointment either. This is a great Rixo look-a-like at half the price. 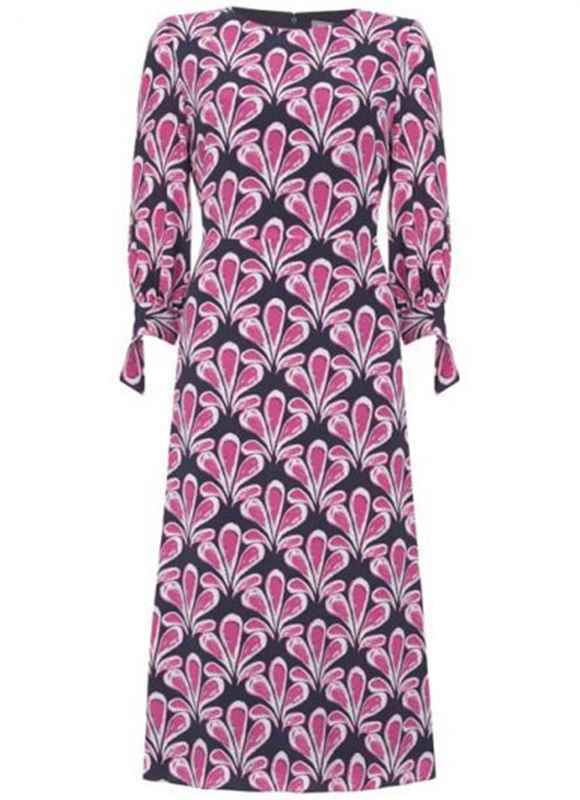 Brynn Print Midi Dress £119. Another goodie from Mint Velvet. Depending on your shape, this may work better with a belt to help define the waist. 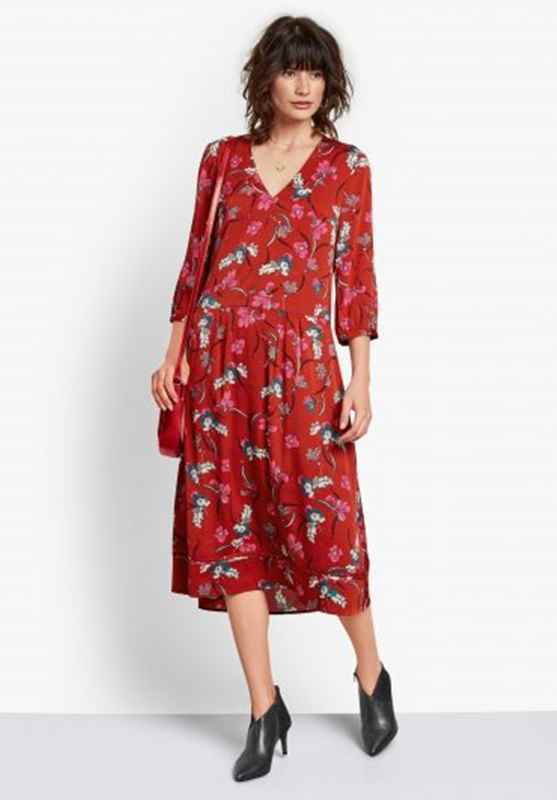 Roselea Print Midi Dress £119 – this is the same style but in a more retro, 70s print. Langley Print Midi Dress £129. Printed Flared Shirt Dress £69 or try this animal print style from &Other Stories. 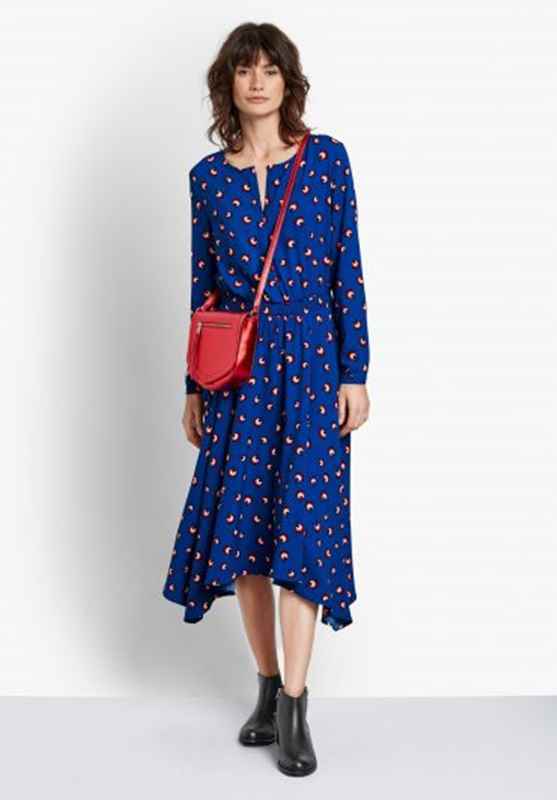 Whether you go for a skirt or a dress, it’s time to bring the hemlines down and get down with the midi trend.